Solar Eclipse 2017 has come and gone, and people all over the US enjoyed the festivities. Some people traveled hours to be in a location where they could enjoy the total eclipse, while others invested money in hard-won solar eclipse glasses to allow them to safely view the once-in-a-lifetime occurrence. Regardless of how you enjoyed the eclipse (or even if you didn’t pay attention to it at all), it made an impact on our day yesterday and has left an imprint on everyone from coast to coast. The eclipse made us pause though, and think about how much preparation and thought people put into an event that lasted a mere couple of hours at most. For those who traveled, the total eclipse (when the sun was completely blocked) lasted approximately 2 minutes, yet was worth driving hours from people’s places of origin. 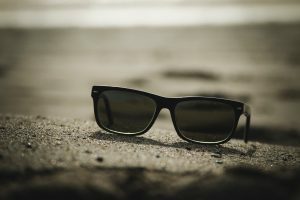 Even finances were impacted by this, as traveling is an expense, and even the glasses purchased by viewers could cost upward of $10 or more per pair. All of this together made us realize that people were willing to invest their money, their time, and their planning efforts on a one-time event, but likely don’t put any of those into their health coverage, especially specialty policies like vision insurance. Vision insurance is a relatively low-cost investment, with high benefits. In fact, you can get vision coverage for not much more than you paid for those solar eclipse glasses! Not only will annual ophthalmology exams be covered partially, or maybe even completely, but you typically get discounts on glasses, prescription sunglasses, contact lenses, prescription drops or medications, etc. pertaining to your eyes. Although vision coverage is often viewed as unnecessary, it’s actually a vital part of your health regimen and protecting your eyes should be a priority. 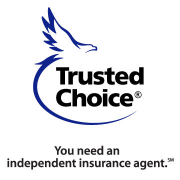 Having an insurance advisor is key in finding policies that meet your needs and your budget, and for residents in and around the greater Winter Haven area of Central Florida, Carroll Marshall Insurance is here to help you find the coverage you need. Stop by our local office or give us a call for an appointment and let us help you invest in your health.